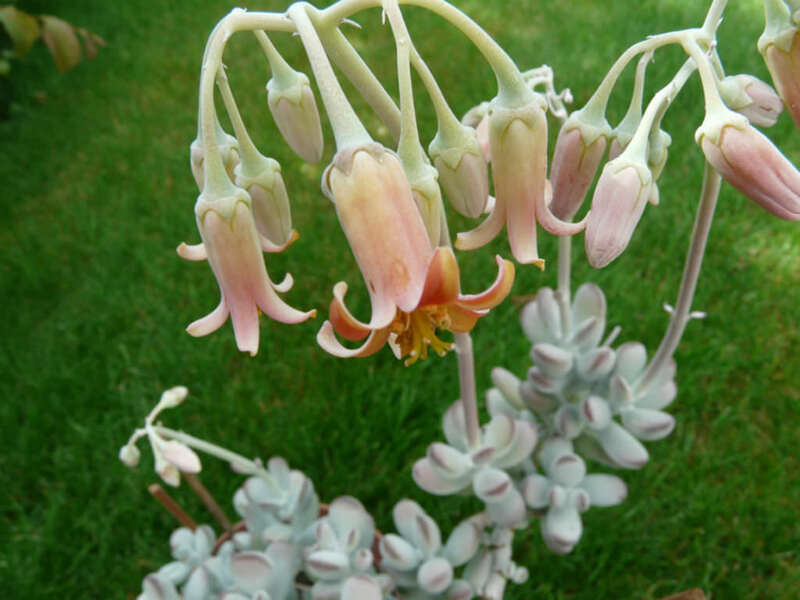 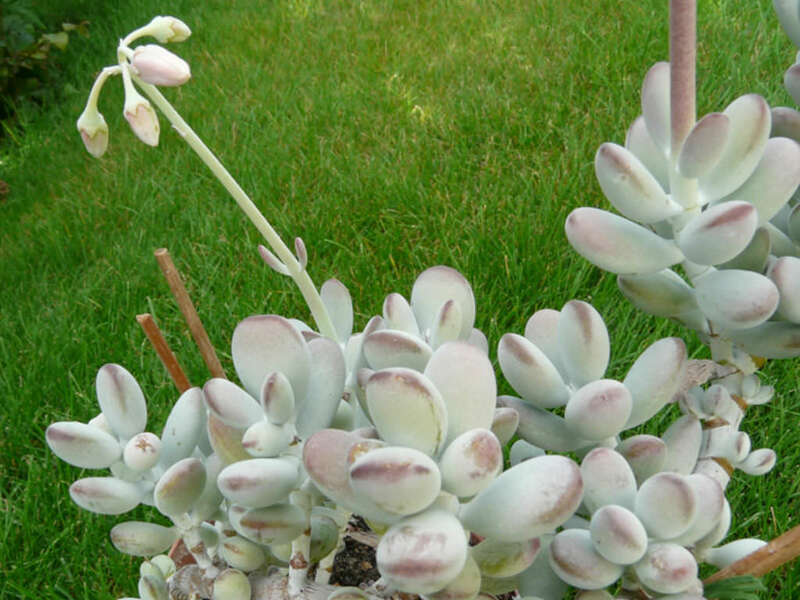 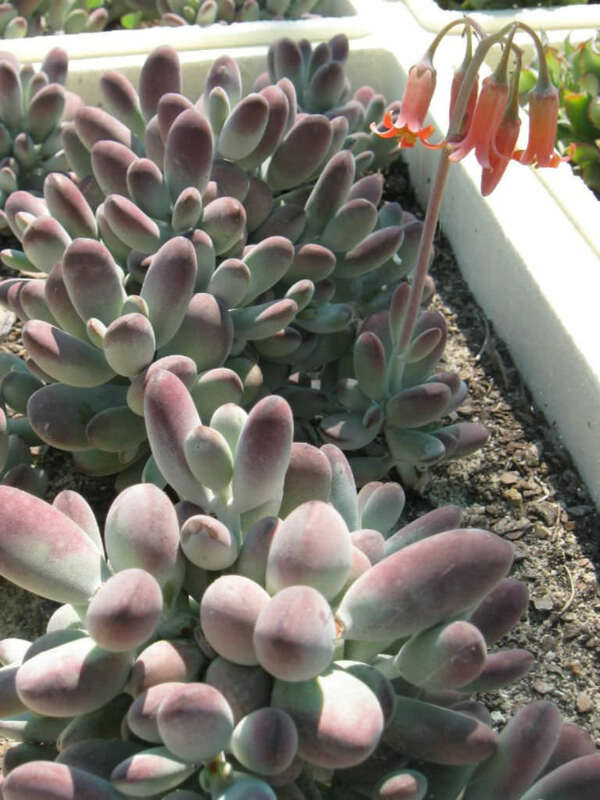 Cotyledon orbiculata ‘Oophylla’ is an attractive succulent up to 10 inches (25 cm) tall, with short leaves which are opposite, velvety, soft, up to 2.2 inches (5.5 cm) long and up to 0.6 inch (1.5 cm) thick, somewhat egg-shaped, gray-green and covered with a white chalk dusting. 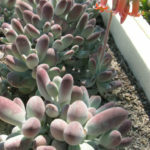 The margins turn a burgundy to purplish hue in full sun. 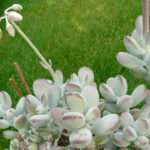 It is a moderately fast growing succulent that spreads into a colony. 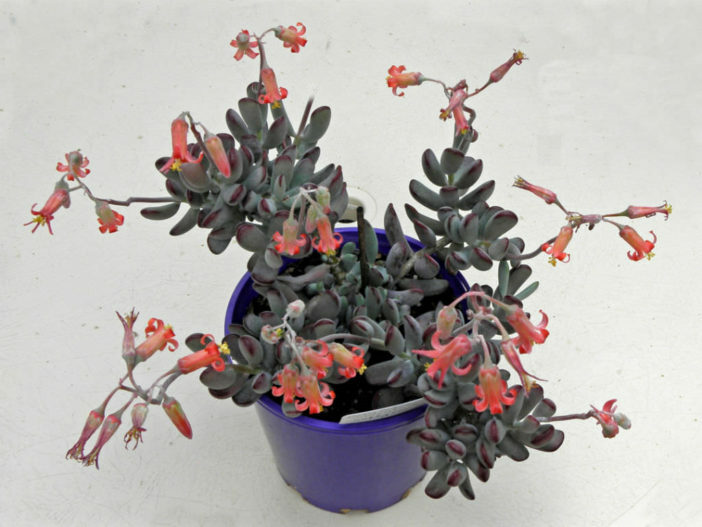 In winter it sends up flower spikes up to 18 inches (45 cm) long, which are topped with very pretty, orange to orange-red, usually less than 1.2 inches (3 cm) long, bell-shaped to tubular flowers. 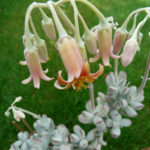 Native to Namibia and southwest Africa.